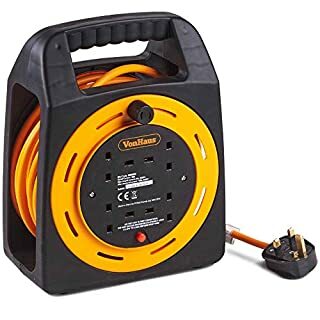 Ideal for Indoor Outdoor Use Ultra compact cable reel is lightweight and easy to store on a shelf or in a cabinet or drawer, perfect for tools, lighting, garden, workshop, camping and other needs. 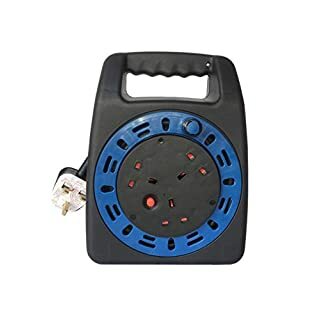 High quality PP material ensures long service time This cable reel made of polypropylene which endows the covering with the characteristic of shock resistance, wear-resisting. 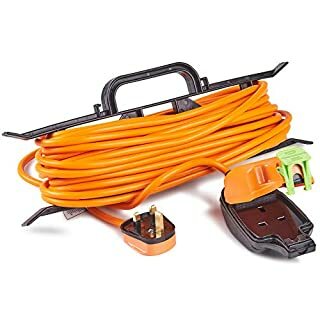 Thus the shell can stand out among all the cord reel. 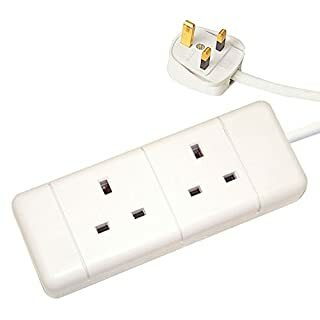 2 sockets to work at the same time There are 2 sockets equipped with this extension lead, and there are 2.2cm between the adjacent socket, you can freely power 2 electrical appliances at the same time without worrying that one socket covers another. 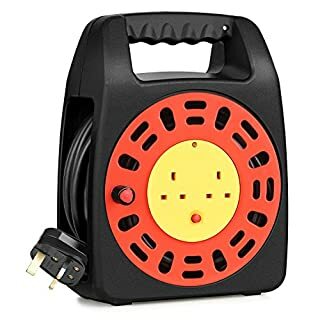 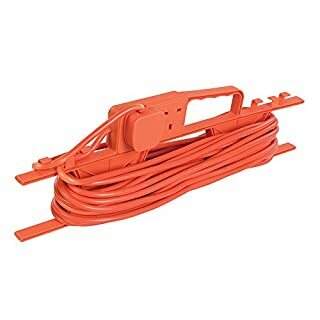 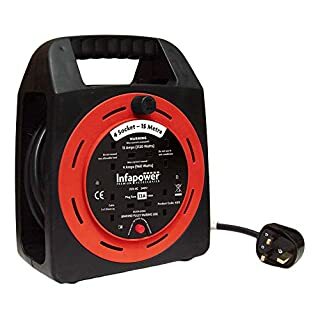 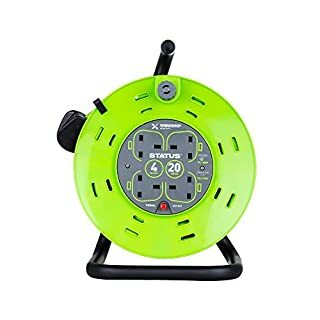 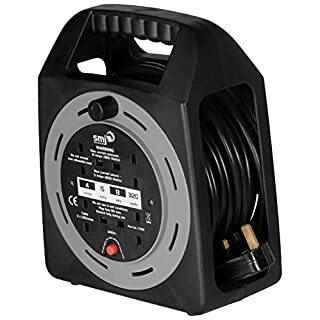 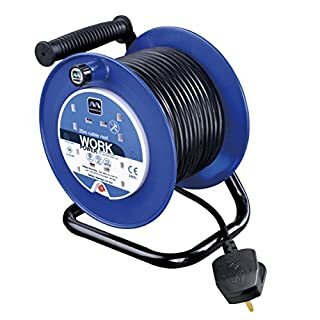 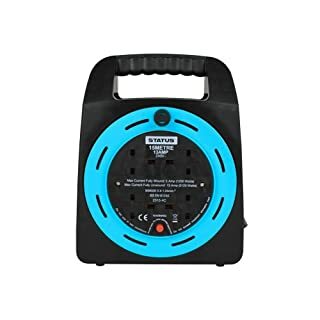 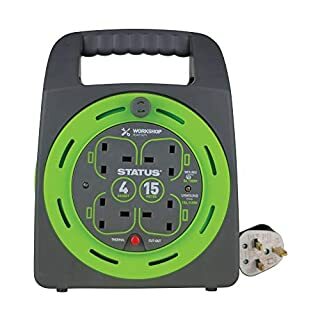 Specifications: Cord length: 15m Quantity of Socket: 2 (British 3 prong) Surge Protector: Equipped Covering: PP & PVC material Wire Gauge: H05VV-F 3*1.5mm² Amp Rating: 13A max Voltage Rating: 250V max Rated Power: 1000 Watts totally roll up; 3000 W totally spread out Wrapping Pattern: Manual operation Warranty: We warrant product for 18 months from the date of purchase. 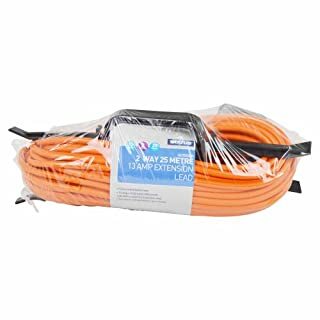 If there are any manufacturing defect problem, please contact our customer service via Amazon email with your purchase order ID. 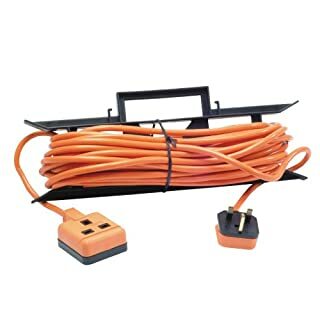 We will do our best to solve the problem for you. 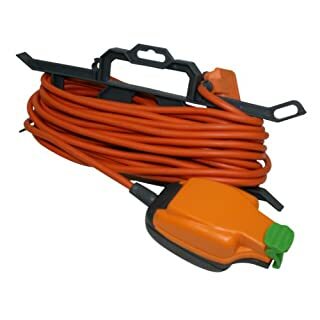 rhinocables 2 Gang Extension Cable is a UK 13A Mains Power Socket Extension Lead. 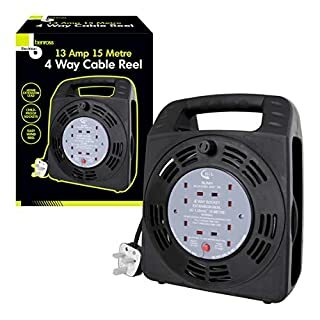 This 2 Gang extension lead allows you to plug in two items simultaneously and safely in one place. 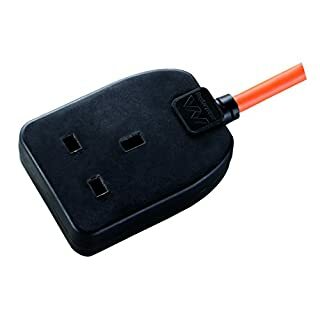 Ready to use with a 13 Amp fused plug, this is a versatile product, capable of handling some of the more demanding indoor power demands. 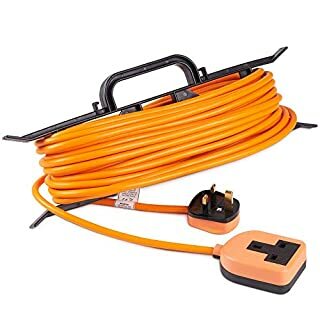 The 2 GANG EXTENSION CABLE is available in various lengths to suit all your needs. 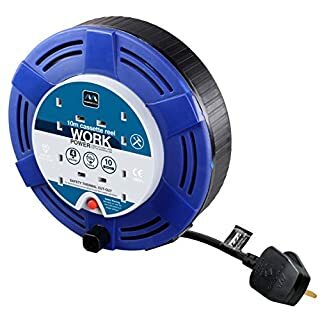 Power Input 230 V AC @ 50 Hz, Total Load (A) 13, Plug Type 3 Pin UK, Fuse Rating (A) 13, Standard BS1363 Look for the rhinocables badge to ensure your guarantee of quality.